Boat Description Don`t confuse the Triton Tr-186 PD with the competitions so called `entry level` rigs! It`s loaded with all the features style and engineering savvy of our legendary tournament boats, yet priced to make the move up from your present fishing rig a breeze. 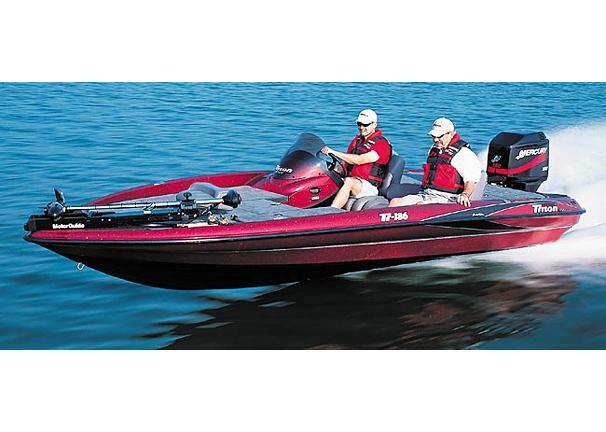 Everything you`ve every wanted in a tournament bass boat comes standard. It comes available in 8 popular color schemes, all sure to catch the eye of everyone around. See your local dealer to see how easy it is owning one of the genuine Triton tournament bass boats.